New research findings show that Birmingham’s tourism industry enjoyed its most successful year on record in 2017 with visitor spending reaching £7.1 billion. The figures, released by the West Midlands Growth Company and research company Global Tourism Solutions, indicate that the wealth generated through visitor spending has risen by over nine percent in just one year. The report also illustrates how hotel revenue is at a record high, with hotel occupancy levels at 75% and revenue per available room (RevPAR) reaching £51 in value. The research also revealed how the city welcomed 41.8 million visitors last year. September marked the busiest year for tourism, with many travelling to Birmingham to attend popular events such as outdoor festival Birmingham Weekender and the Natwest T20 Finals Day at Edgbaston Stadium. The figures also reflect an increase in employment levels in Birmingham, with the amount of full-time equivalent job opportunities rising by 7.2 percent over the past two years. Responding to the findings, Councillor Ian Ward, leader of the Birmingham City Council, stated: ‘Tourism is a major part of the Birmingham economy, supporting thousands of jobs, and these outstanding figures underline the fact this city is now a major tourist destination, with a growing profile on the global stage’. 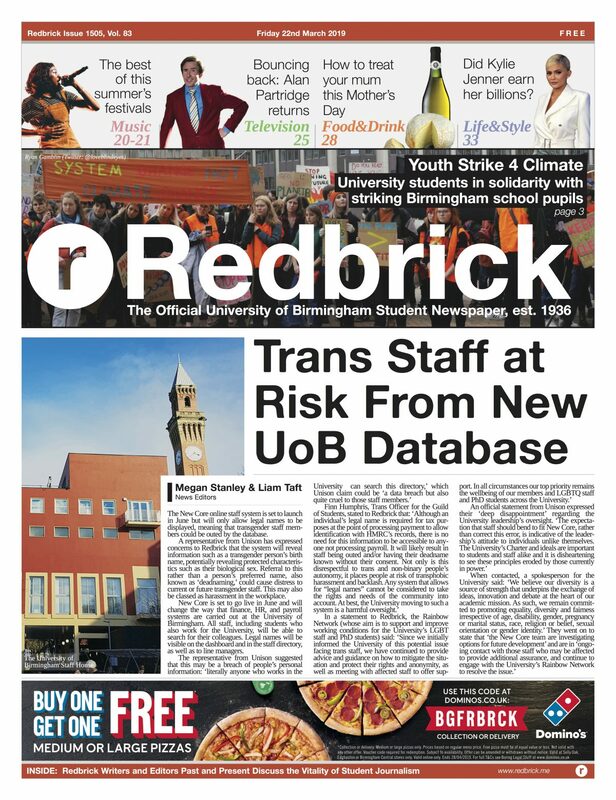 Speaking to Redbrick, third year Classics student Amy suggested some reasons why the city’s visitor economy might be flourishing; ‘Birmingham’s undergone a lot of construction over the past few years. Shopping and food retailers have boomed, and the city now brings together a good mix of chain and independent businesses, which adds even more appeal to tourists’. Praising the figures, third year Political Science student Oli said, ‘it shows that Birmingham has a lot more to offer than some people might think!’.